I was taken on a different path when I decided that I was using far too much sheet material in my work ie plywood & acrylic. I also knew that I could be more resourceful in finding material to work with which would inspire new ideas. Pallet wood is one material I like using but I needed to design quick and efficient ways to cut leg notches. I found that laser cutting a template from 3mm ply that my small hand router could follow works well for a range of different joints. 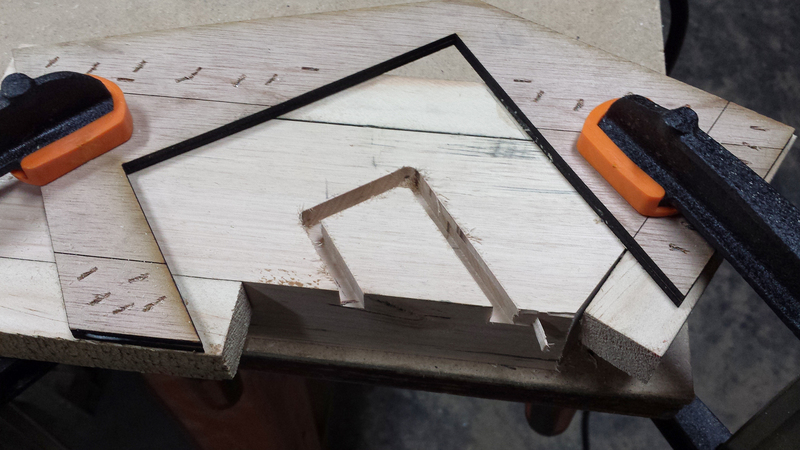 Here is a photo of a jig clamped to some recycled mountain ash for a leg joint for a record cabinet.